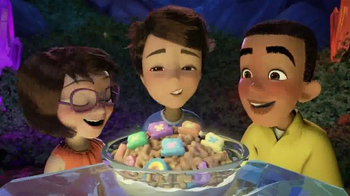 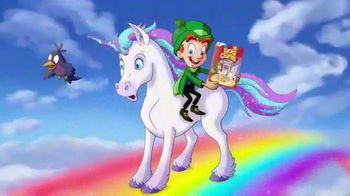 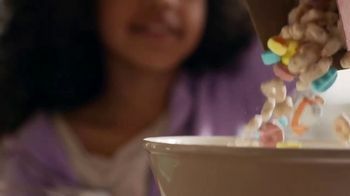 There are three approved containers for the cereal and marshmallow pieces in Lucky Charms, General Mills says: the bowl, the mouth and the box. 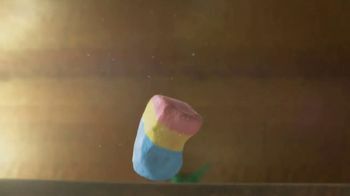 If even the tiniest piece of one of the marshmallows was to escape one of these containers, there is no telling what could happen. 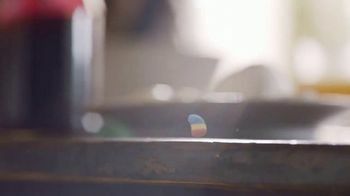 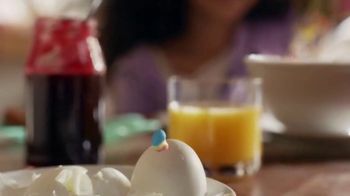 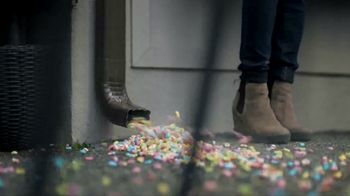 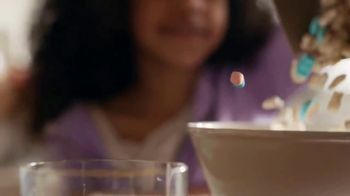 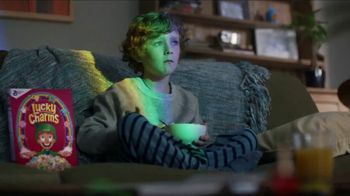 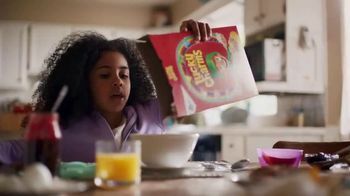 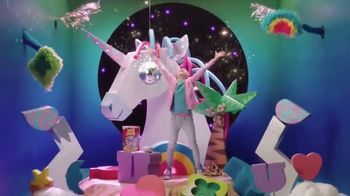 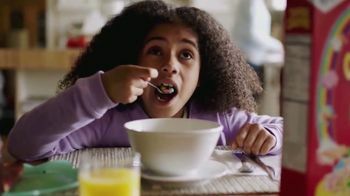 While one young girl eats a bowl of Lucky Charms as part of her breakfast, part of a marshmallow rainbow bounces out of the bowl and along the table. 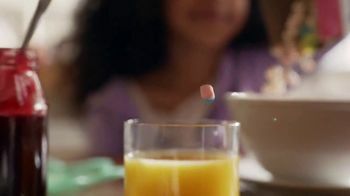 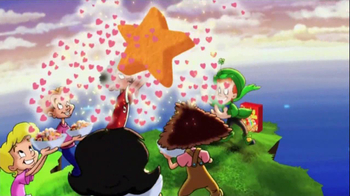 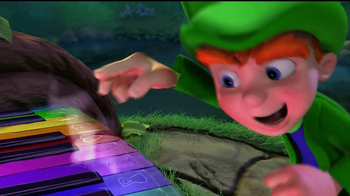 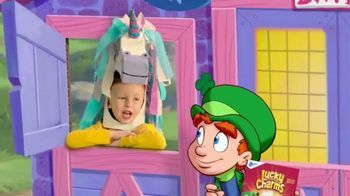 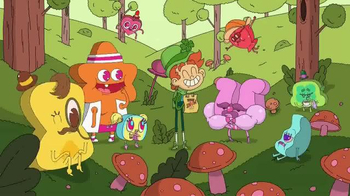 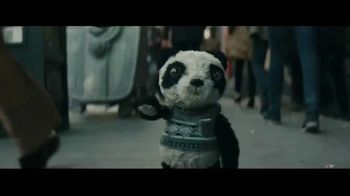 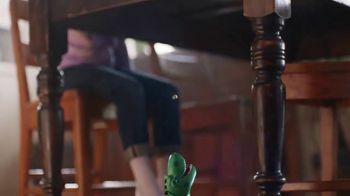 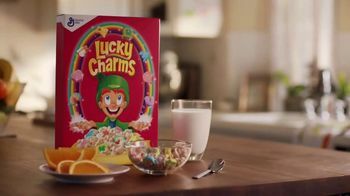 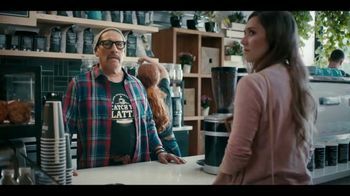 It bounces and rolls over the edge of the table, almost reaching the mouth of a dinosaur toy before the video cuts out and Lucky Charms leaves what happens up to the imagination.